Stockholm’s Queen of Quirkiness returns with a re-mix of a track released earlier in the year – ‘Charles de Gaulle’. But this isn’t any old remix. It marks the return after 20 years no less of legendary Swedish producer Johan Vävare, known as the Brian Eno of his country, who apparently now resides in Vietnam and whose production skills have not been heard on any Swedish release since the late 1990s. In the 80s and 90s Vävare established himself as one of Sweden’s leading music talents, with soundscapes and ideas that were integral parts of classic recordings with a host of Swedish stars too long to mention but which did include the Bowie-a-like Thomas di Leva, who is himself undergoing a renaissance at the moment. I lost count of the instruments and paraphernalia Vävare’s added here – everything from a harpsichord to an alarm clock – but nothing overshadows the almost plaintive piano riff, which he left untouched. The line “Attention please, will all passengers travelling with SoLBLoMMa to Planet Earth please report to the information desk” is pure genius. It speaks volumes about SoLBLoMMa’s idiosyncratic appeal that Vävare was tempted out of retirement to do this re-mix. She’s an acquired taste but more than ever we need these people operating at the margins of society to help keep us sane. ‘Charles de Gaulle (The Terminal Mix by Johan Vävare)’ was released as a single on September 14th and is featured on the EP ‘Come and Have a Coffee with Me at Charles de Gaulle’ (released September 28th). That EP also features a remix by EvOLu who works with members of Depeche Mode and Peaches and contains the original single mix and two new remixes by Solblomma herself. 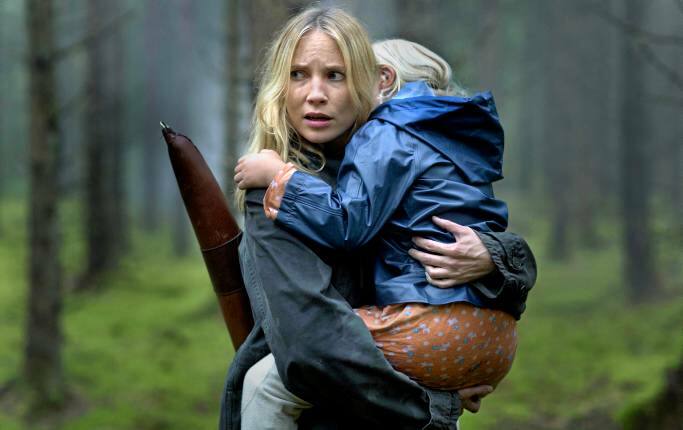 SoLBLoMMa på soundtracket till “Jordskott”. SoLBLoMMa på soundtracket till SVT:s storsatsning “Jordskott”! Premiär i kväll klockan 21.00.